Springtime in Minnesota means severe weather for our entire state. It also seems that we have our own “Tornado Alley” along the northern Minneapolis metro area. This is a hot area for storm chasing contractors to target homeowners who are inundated with storm after storm all summer long. However, it’s important to use a locally owned, reputable contractor like The Chuba Company. If you have questions or concerns about your roof after your project is done, someone is always here to help you! Vinyl TPO – We use this product on small, flat roofs. It’s ideal for garages, sheds, and other buildings that have a flat roof. Steel shingles – This material comes in a variety of profiles; from wood shakes or clay tiles. They can even mimic asphalt shingles. Steel shingles have a longer lifespan of 50 years or more. When Minnesota storms turn into something so severe that they damage your property, it can be easy to panic and go with the contractors that show up at your door. But remember, you’re in control of your own property and it’s important to use a contractor that will walk you through the process every step of the way. 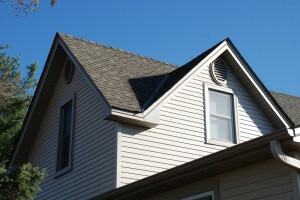 The Chuba Company is your trusted roofing contractor in Minneapolis. Keep our information handy and let your neighbors know about us, you never know when our first storm is going to hit! Connect with us on Facebook and Pinterest to keep in touch and see our project examples!